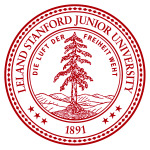 In this course, Stanford University gives 22 video lectures on the Computer Systems Laboratory Colloquium. This course features weekly speakers on current research and developments in computer systems. Topics touch upon all aspects of computer science and engineering including logic design, computer organization and architecture, software engineering, computer applications, public policy, and the social, business, and financial implications of technology. Frequently the Colloquium provides the first public forum for discussion of new products, discoveries, or ideas. This playlist consists of seminar speakers recorded during the 2007-2008 academic year. The original name of this course is: Computer Systems Laboratory Colloquium (2007-2008). Richard Miner in Lecture 8: Android: Building a Mobile Platform to Change the Industry.